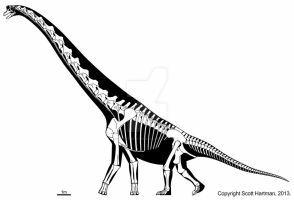 UPDATE: What I thought were basal tail vertebrae are in fact dorsal vertebrae, as denoted in the original description. The confusion was resolved with a higher quality photo I recently found. Introducing the mind-bogglingly bizarre new pterosaur from the Swiss Alps! Behold Raeticodactylus filisurensis! Prepare to be boggled! Note: There is some suspicion it might belong to Caviramus, an equally weird pterosaur genus known only from bits of lower jaw, but what an odd little jaw it is! After looking at both taxa it seems that the two are generically distinct, but they likely are very close relatives, belonging to the same unnamed clade of ultra-weird basal pterosaurs. I'm also a bit uncomfortable about how the legs are positioned, the legs in this thing appear to have been completely erect as opposed to outward-facing in other pterosaurs so it may not have had the range of motion necessary to spread the legs out in flight as in other pterosaurs. Still, it likely had a uropatagium since there is a fragmentary specimen of a pterosaur with a similarly structured leg that preserves impressions of one. 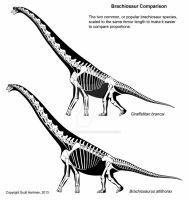 This must be the long-tailed "ornithocheiroid" frequently seen in dinosaur movies! I love it, you always amaze me with your outstanding quality. 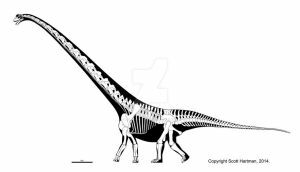 I bet this one had some heavy neck/shoulder and spinal musels.To carry it's heavy skull, Is it me or are there less air pockets (sorry cant remember the proper name). Great work please keep it up and happy drawing. It depends what you mean by "air pockets", pterosaurs had a complex pneumatic system involving air sacs and hollow bones. I suspect you are referring to the fenestrae of the skull, which do seem to be fairly small in comparison to the rather robust skull. Unfortunately nothing of the shoulder girdle is known so there really is little we can know about the musculature of this creature, but it does teem interesting that while the skull and neck vertebrae are rather heavily built, the dorsal vertebrae appear quite small in comparison to the cervical vertebrae. yay that the word "fenestrae". I just wish there could be more complete finds with clear marks on the bones of where the musels and tendons were, Though guessing is fun to. Oh and by the way your not a pointless information provider, it's great to have some one of your outstanding class around, so please take care, and i look foward to you next pic. Nice job. Question about the leg positioning; if the sacrum is missing, how can we come to any conclusion about it's splitsability? The pelvis and sacrum would have to be quite different from those seen in typical pterosaurs and while that is not unlikely, I had some trouble envisioning what a pelvis for Raeticodactylus that allowed for the typical range of motion in pterosaurs would be like given what is known of other pterosaurs. It is mostly an issue of discomfort with what I have reconstructed here, but the only thing that can be done about that is wait for some discovery that clarifies things. Some people are already saying that it used its parasagittal legs to grab fish and that it didn't have a uropatagium. Silly, I say. 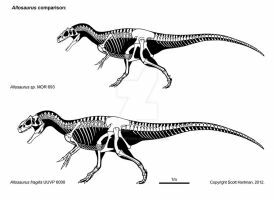 I think that even with the femoral head turned 90 degrees most pterosaur hips would not dislocate at horizontal. Maybe I should check that out more thoroughly. You do amazing work! This guy is awesome, he looks like a cross between a can opener, dimorphidon, and a blue dragon from DnD. That nasal projection is so classy, and the bottom jaw just looks viscious. The little toes' configuration looks totally uncomfortable though, I wince at it. Non-pterodactyloid pterosaurs had long, specialised fifth toes that likely supported the uropatagium and had a different range of motion from the rest of the toes. The term basal pterosaur essentially means closer to the common ancestor of all pterosaurs with respect to other pterosaurs. the term basal is more suitable than the term primitive since the first only refers to phylogenetic positioning while the other suggests a degree of advancement. You're welcome! Hope it works out for you! I have the "Internet Explorer". It is not only a problem with this picture. With some other pictures of you there is the same problem. The picture is very well. I have seen it with the link, but there the quality is not so high like other pictures you have here. Ah. Internet Explorer is known for being notoriously poor at supporting PNG images, which I prefer to use for skeletal reconstructions since they allow for high-quality, lossless images with relatively small file sizes. It could be some problem relating to that. I'd recommend trying out Firefox, Opera or Safari, hopefully that may solve the problem. I ask me why I cannot see the large version of the picture. Always I choice the larger version there is only a grey picture? Perhaps somebody know why this is so. Odd... that doesn't happen for me, it could be a browser problem, what browser do you use? WOAH!! I hadn't heard of this one before! What is it related to? 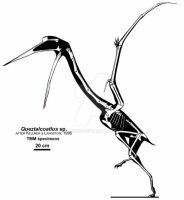 Nobody is really sure about its relations, it may belong to a new clade of basal pterosaurs.